Coach Cagle is currently in his 4th year as an Assistant Coach with the softball program. 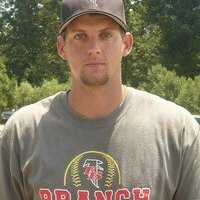 Coach Cagle teaches Special Education at Flowery Branch and also is a member of the FBHS baseball staff. Coach Cagle graduated from North Georgia College and State University and is married to Breana Cagle and they have one daughter, Mayzie, who was born in December.